Peri is a Grecian goddess of a dress. 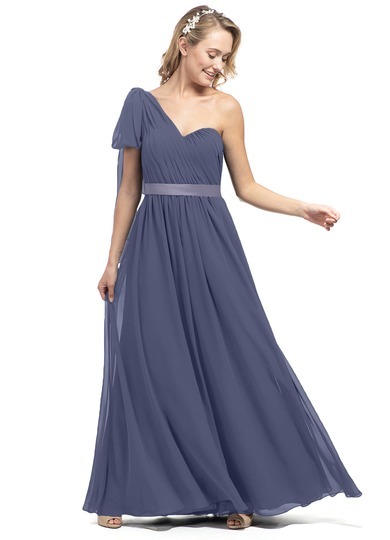 With a one shoulder drape that has an adjustable bow tumbling down and structured bodice with soft gathers, this dress will flatter all shapes and sizes. The full A-line skirt also allows ease of movement!